Post-independence Lanka has allowed party politics to divide it through greed, hatred and delusion. It is essential for us to save at least a small part of Lanka where original culture is left as it is, free from conventional modernization and all its accompanying ills. Traditional systems at work in an uncontaminated region can provide the framework and forum for resolution of Lanka's contemporary afflictions. All of Sri Lanka's religious leaders have commented on the decline of values in our social fabric. In order to stem this regression several independent groups of mixed religious orientation have formed. 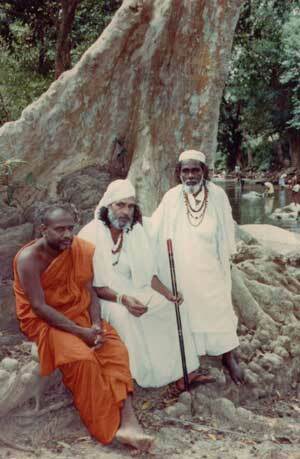 The Religious Alliance for Peace that recently met with the LTTE in the jungles of the north is one such group. LHT has begun the process of obtaining the support of all such groups. Teachers of the Perennial Philosophy from traditional societies in other parts of the world, especially the SAARC region, will be invited to visit, giving students a chance to learn from them. Participants, however, will be screened in order that the cultural traditions of the region are not dishonored. Before the termination of the ferry service from Rameshwaram in India to Talaimannar in Sri Lanka, pilgrims came regularly to Sri Lanka to visit Adam's Peak and Kataragama. These pilgrims became the storytellers in a tradition where wisdom was transmitted through story, myth and metaphor often under a tree or beside a footpath or in a wayside ambalama or pilgrims rest. In the context of the United Nations Decade for a Culture of Peace and Non-Violence, LHT will provide a base for traditional exponents of the major faiths in Sri Lanka, enabling them to live within the community and through example teach students their culture. This peace-building program will develop new policy and practice in an area of instability and conflict providing models and methods to analyze social and political conflicts and to integrate effective conflict handling strategies.